A comfortable dog is a happy dog. Take your favorite pup for a walk with the Comfort Wrap Adjustable Harness. The step in style harness is super easy to get on and off your pet! 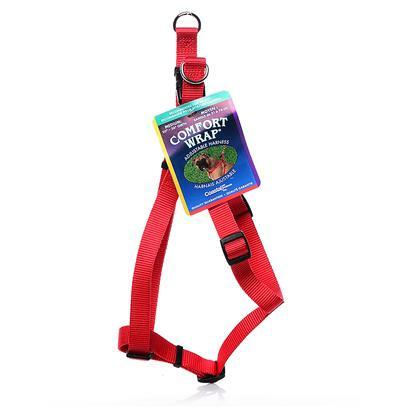 The harness features 3/4" nylon that has been specially processed to prevent fraying and increase strength. It adjusts from 20" up to 30" and is suitable for average/medium size dogs. To put the harness on your dog, open the harness and lay it flat. Help your dog step into the harness, pull up around his body, and buckle. Use slide adjustments for final fitting.